VFE is on track to double its team of service engineers by the end of 2017. Launched earlier in the year, the company’s targeted recruitment programme is attracting highly qualified service engineers to the market-leading business, says David Byrne, CEO of VFE. “With our year-end target of 23 engineers in sight, we’re stepping up our investment in phase 2 of this major recruitment drive,” he explains. The need to expand the service team, which provides maintenance and service to clients all over the world, reflects continuing growth in VFE’s sales of equipment and FurnaceCareTM contracts. New recruits to the team will join the company’s expanding network of multi-skilled engineers, all experienced in providing innovative, engineered solutions for all makes of vacuum furnaces. FurnaceCare™ is at the heart of VFE’s service offering, providing an all-inclusive package that can be tailored to meet individual customer’s requirements. It includes planned and preventative maintenance, 24/7 emergency callouts, spares, overhaul and repair services, control system upgrades and full NADCAP certification. 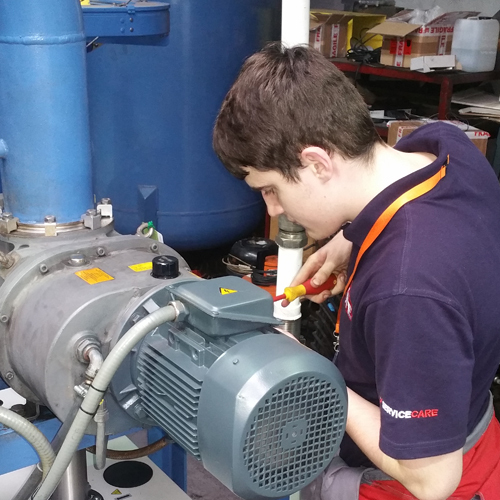 As part of its continuing investment in engineering skills and service, VFE also introduced its first apprenticeship scheme in 2017. In addition, the company has opened a new Southern Office in Poole for its recently formed VFE Autoclaves and Industrial Ovens service division. The purpose-built premises include a newly upgraded calibration laboratory.